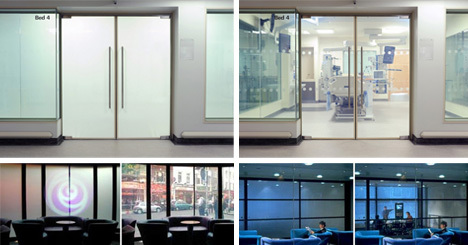 Kiss curtains, blinds and shades goodbye – smart glass is not just an Xbox enhancement. Smart glass technology is evolving and faster than ever. It can shade rooms on demand, making them transparent and reduce thermal gain … all just by flipping a switch or even turning a key in a door. There are various methods employed to make the transition, but one of the most fascinating involves low-power electrochromatic devices that can be activated in a variety of clever ways. Essentially, a current is passed through the window panel to turn it from transparent to translucent then back again – the voltage does not need to be sustained in between. Aside from micro-blinds and mechanical smart windows, other variants on this technology include suspended-particle devices, which can be finely-tuned to allow in (and block out) desired levels of light, heat and glare. 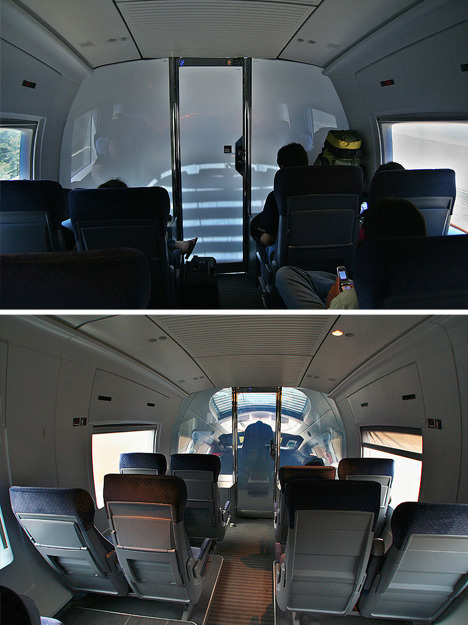 Applications to date include commercial windows and doors in places ranging from private skyscraper offices and public restrooms to hospital rooms high-speed trains. 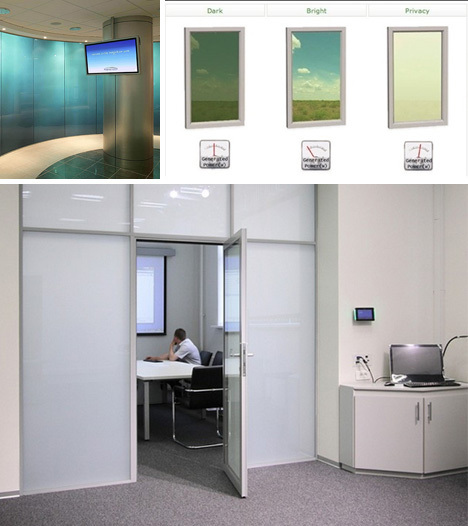 Smart glass can also be found in luxury sunroofs, meeting spaces, projection screens and television studio surfaces. As it becomes easier and cheaper to produce, the applications are limitless (above images by Sebastian Terfloth).